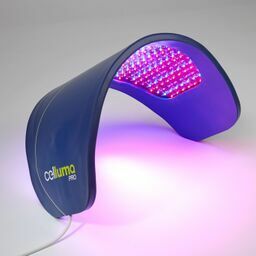 A: Celluma is a light therapy device for treating pain, acne, and wrinkles. A: It increases blood circulation, decreases inflammation and increases the production of collagen & elastin. A: Yes! The technology embedded in Celluma was developed by NASA. A: No, there is little or no sensation, Celluma helps tissue heal naturally from the inside out. Afterwards you should feel rejuvenation and experience less pain. Q: Can I travel with it? A: Yes! Celluma is portable, weighs only a couple of pounds, and fits easily in luggage. Q: How long is a Celluma session? Q: Why do I need to remove my makeup? A: Many makeup formulas contain minerals that may deflect light. Clean, freshly washed skin is recommended for best results. Providing excellence in chiropractic care to Fair Oaks, Orangevale, and Citrus Heights families.